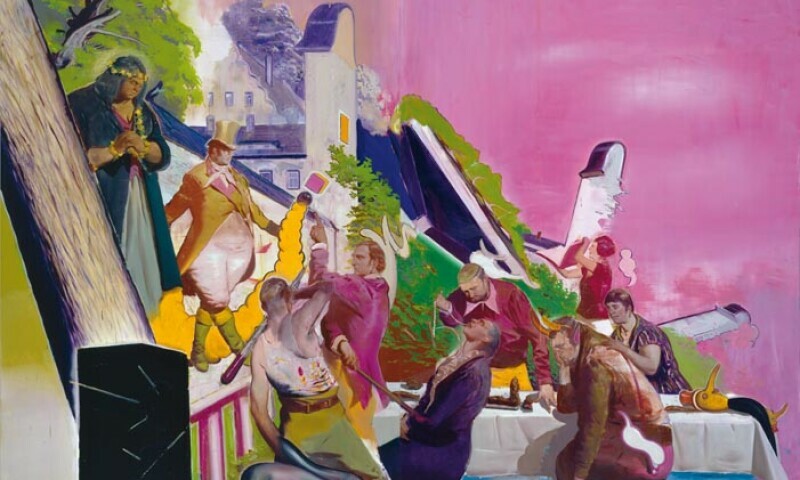 Neo Rauch, Vorfuehrung, oil on canvas. This exhibition of sixty works is selected from over 500 objects of contemporary German art from the renowned Rubell Collection. Don and Mera Rubell have established one of the first major private museums of contemporary art that has become an international model. Based in Miami, it is a destination for visitors from around the world. This exhibition features cutting-edge painting, sculpture and photography from some of the most important practitioners of contemporary art. During the post-World War II era, Düsseldorf and Cologne became leading centers for contemporary art. After the fall of the Berlin Wall, both Berlin and Leipzig also emerged as important contemporary art centers. Few countries have had four major centers of contemporary art at one time. This exhibition features exceptional examples from these cities by pioneering artist from the late-twentieth and twenty-first centuries, including Anselm Kiefer, Andreas Gursky, Thomas Schütte and Candida Höfer.